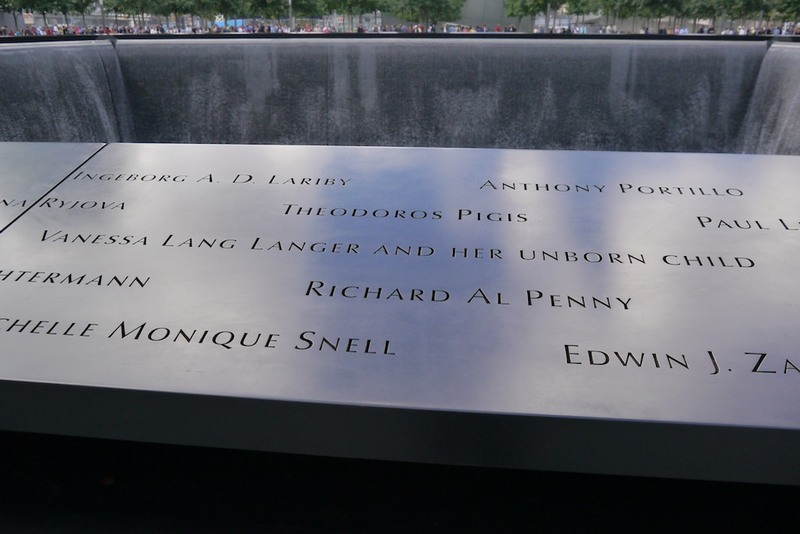 As this date holds significance for most of us, I wanted to take a few minutes to reflect on what the events of that day mean to me, and perhaps all of us. It would be easy to say that the message is “don’t get bogged down in the trivial”, but that’s what most of us do, and will continue to do, all day. We get upset because someone cut us off on the highway, or the service was too slow at our lunch place. The fact is, that person who cut us off may not be an a-hole, but just someone who has to get to work or they’ll lose their job. And the waitress is slow because she just found out her husband is leaving her, and she could barely get out of bed that day. So, for me, 9/11 forces me to stop and re-assess how critical my issues of the day really are. How bad is it, really? I’m not sitting here anguished over whether my wife got out of the World Trade Center in time, or trying to decide if it’s time to jump out of an 80th floor window or be burned to death. Life’s pretty good. The second thought is to not react to violence with violence, and to not let fear turn into misdirected hatred. It’s easy to do. In my mind, I could have easily pulled the trigger if I were face-to-face with Osama bin Laden. But do I really want to be someone who took a human life, even his? No. And I grieve for those young men and women in our armed forces that we require to make that decision, and I think we’re seeing more and more the effect it has on them. When I hear that, just two days after 9/11, people were calling in bomb threats to newspapers that were running photos or video of some of the “jumpers”, I’m stunned. So, you are outraged at al Qaeda terrorists, but you are willing to become a terrorist yourself over a photograph? You are lost, in my mind. Or those people who sent death threats to Natalie Main of the Dixie Chicks because she said she was embarrassed that George W. Bush was president. Is your sense of patriotism so screwed up that you think that the Second Amendment gives you the right to kill someone you disagree with, simply because she was exercising her First Amendment right? My hope for America is that on this day, we realize that those things that divide us, and those disturbances that we over-react to, are all truly trivial. I pray that memories of that day will not always make us angry and vengeful, but instead, that we cultivate gratitude, compassion, forgiveness and tolerance in ourselves and our children. And are more appreciative of the peace and liberty that we do enjoy, and aware that as Americans, and as human beings, we are all in this together. If you would like to receive my blog by email, simply fill in the “Subscribe” box up on the right and then confirm the email subscription when it is sent to you, and you’ll never miss a post. And I’ll never sell your email or spam you. I’m not like that. This entry was posted in Dental Marketing and tagged patriotism by Fred Joyal. Bookmark the permalink. You said it all in this 9/11 blog. It truly made me stop and think about how the daily stuff in our lives is trival. What a difference it would make if only more people could see the big picture and want peace in this world. Thanks for sharing your thoughts! Thank you, Patty. I appreciate your response and your positive thoughts! You just gave my day a whole new spin. Thank you. Thank YOU, Janelle! I’m always happy to have an impact on someone. you are truly correct about the big picture. Maybe it is because all thought my family doesn’t grieve on 9/11 it is due to 9/11 we do. Andrew Baddick died Sept 29th 2003 in Iraq. I think we as Americans also have to remember all the men and women that have lost their lives in war; to now keep us safe everyday from the terror like that day. Thank you for your great insight I love reading your blog.